A powerful and elegant debut novel about love, memory, exile, and war. One snowy December morning in an old European city, an American man leaves his shabby hotel to meet a local woman who has agreed to help him search for an apartment to rent. THE APARTMENT follows the couple across a blurry, illogical, and frozen city into a past the man is hoping to forget, and leaves them at the doorstep of an uncertain future-their cityscape punctuated by the man's lingering memories of time spent in Iraq and the life he abandoned in the United States. Contained within the details of this day is a complex meditation on America's relationship with the rest of the world, an unflinching glimpse at the permanence of guilt and despair, and an exploration into our desire to cure violence with violence. 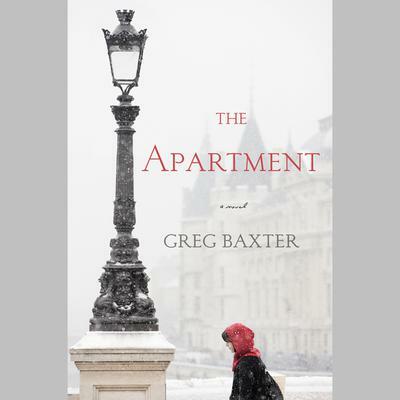 A novel about how our relationships to others-and most importantly to ourselves-alters how we see the world, THE APARTMENT perfectly captures the peculiarity and excitement of being a stranger in a strange city. Written in an affecting and intimate tone that gradually expands in scope, intensity, poetry, and drama, Greg Baxter's clear-eyed first novel tells the intriguing story of these two people on this single day. Both beguiling and raw in its observations and language, THE APARTMENT is a crisp novel with enormous range that offers profound and unexpected wisdom.